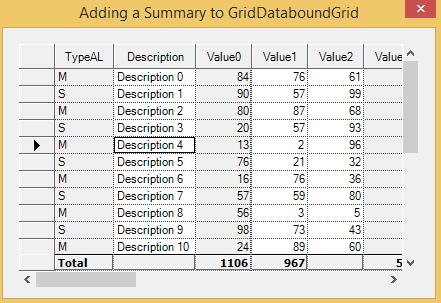 How to have summary value in GridDataBoundGrid? By default, the GridDataBoundGrid doesn’t have support for Summary row. The summary row can be added to grid by using GridSummaryRow helper class. Using this class you can use predefined summary type or create a custom summary calculation also.